I went home to my father's house this weekend to celebrate my father's birthday. He was actually only there for dinner (oh, the life of a ski bum) but my sister and I made good use of the kitchen. We started with baked brie (use crescent roll dough, two tablespoons of your favorite jam, and a wedge of brie, bake at 350 degrees F until light brown), then sugar cookies, then one of my favorite desserts - Sticky Toffee Pudding (recipe to come tomorrow). Usually for Christmas I made a lot of cookies and give them out as gifts to friends. 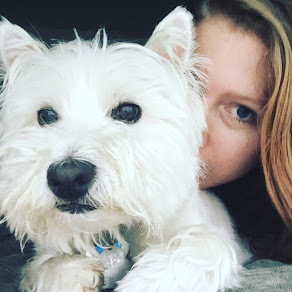 Last year I decided to switch it up and gift jam and jelly to everyone. 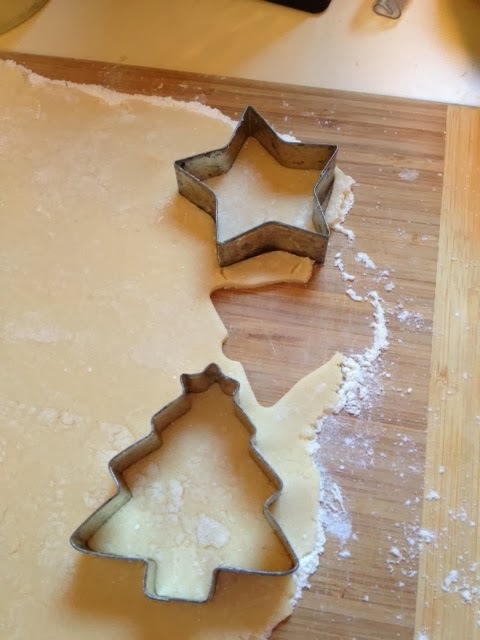 This year I'm feeling like maybe I'll nix the baking and focus on the writing. Crazy talk, I know. So this may have been my only cookie baking for the season. Here's hoping my mother makes up for my lack of baking by making oodles of cookies. My favorite are the spritz. So, so good. Ok, here we go. 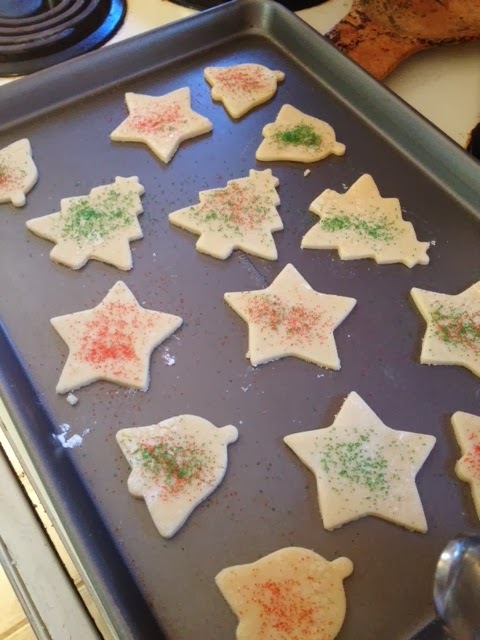 Plain ole sugar cookies. Combine flour, baking soda and powder in a small bowl, set aside. Cream butter and sugar. Add in vanilla and egg. 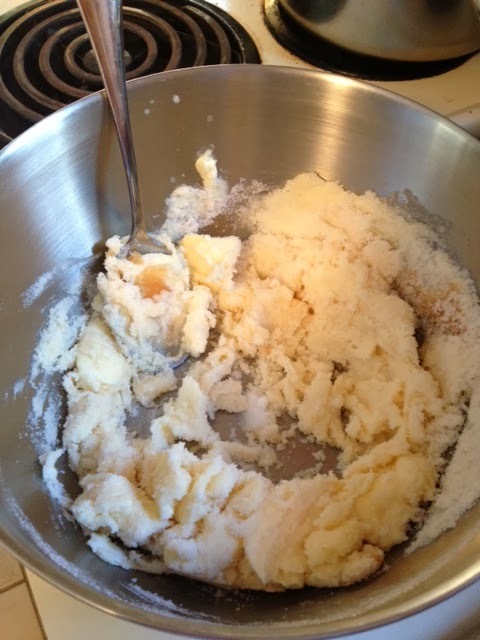 Combine until smooth then gradually add in dry ingredients. (I added in a Tbsp of milk at this point because when I tried to get the dough into a ball it was a bit too dry.) 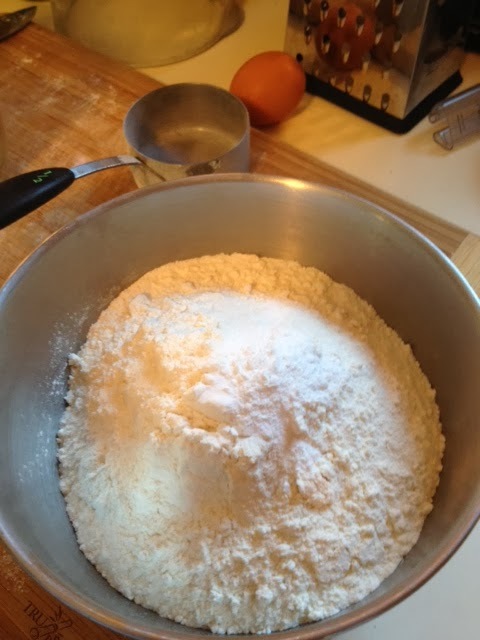 Form dough into a ball and place on a floured surface. Roll dough to about an eighth of an inch thick and cut into desired shapes. Add sprinkles and bake 8 minutes or until edges begin to golden. Err on the side of under-cooking or else you end up with a crisp cookie. Enjoy! 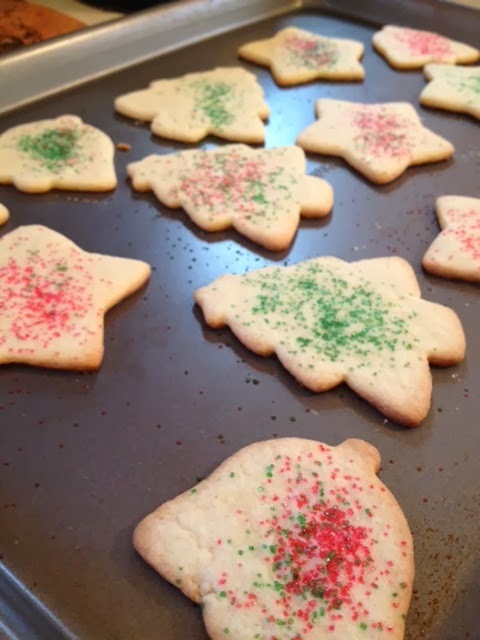 If you have a favorite holiday cookie recipe of your own please share!